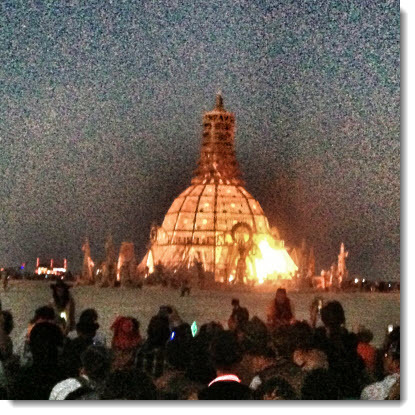 Ever the observer, I walked around the temple at Burning Man absorbing and recording the spectacle of human grief. Here in the middle of the Black Rock City desert looms a temporary temple dedicated to the broken hearts of those who take part in Burning Man. Amongst the notes, pictures and personal articles carefully placed here in remembrance, people meditate, sing and grieve for lost relationships and loved ones. This is the serious side of the Burning Man party where the practice of impermanence gets played hard. 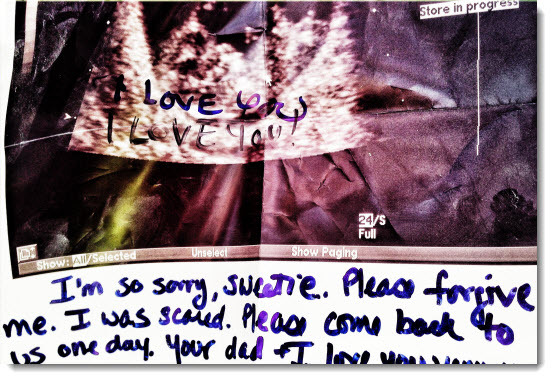 In between the thousands of items I found a note to an unborn child scribbled on a sonogram from its mom asking for forgiveness. Something about the rawness of this irreversible decision tugged at me and I started to photograph it, I stopped when a hand gently tapped me on the shoulder. It was the young mom wearing a cowboy hat with tears streaming down her face. She wanted me to know that it was her baby. I didn’t get to ask her all the questions that the reporter in me wanted to ask, but this was not the time to observe and record; this was a time to hug heart to heart and open up to the grief. I’m learning. In a few days this magnificent temple will be burned to the ground along with all the pictures and notes, perhaps leaving the owners of those memories with some relief and a way to move forward. 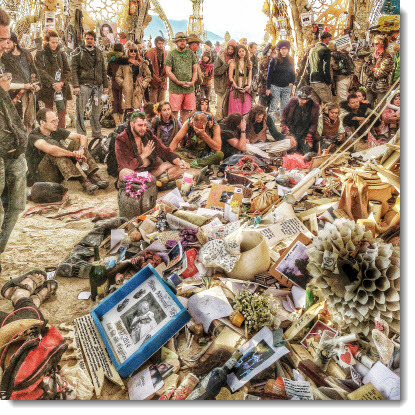 I began to realize that the temple, once complete and filled with remembrance, is something holy and very significant to the Burning Man community. Everything is sealed up, never to return. On Sunday night thousands of us burners started to walk towards the temple and take our place around the perimeter marked by the fire patrol. Unlike when the effigy of the Burning Man is lit on fire, the temple burn is a somber affair marked by a stark silence broken only by sound of the enormous flame and loud sobbing. I took my place between the 40,000 people sitting quietly around the magnificent wooden temple filled with offerings and burning high into the heavens. I was thinking of my father who passed nearly 25 years ago. 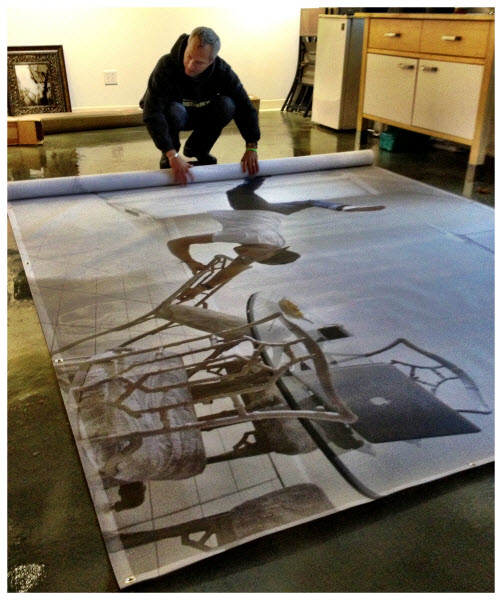 He loved fires and he would have loved this place of creativity and freedom. Maybe next time I’ll be ready to bring a picture of him to burn. I’ll also include a letter, as there are some unfinished vibes that need to be aired. I still resent that he left me with a mess, though he also left me with a deep love for fires and deserts. And I would not be sitting here if it weren’t for him. This fire circle brings up unpredictable feelings. I looked around in vein trying to find the young mom with the cowboy hat. I knew she was there – somewhere – watching and thinking about her baby and the hard choices she once had to make. I wandered if once she felt the enormous cleansing heat of the fire against her skin she began the process of forgiving herself. The fire is a primitive force that, combined with the power of the tribe surrounding it, allows you to surrender to something bigger and clear the way to move forward. My kind of temple. Previous: Who Wants to Bike to Gaza City?